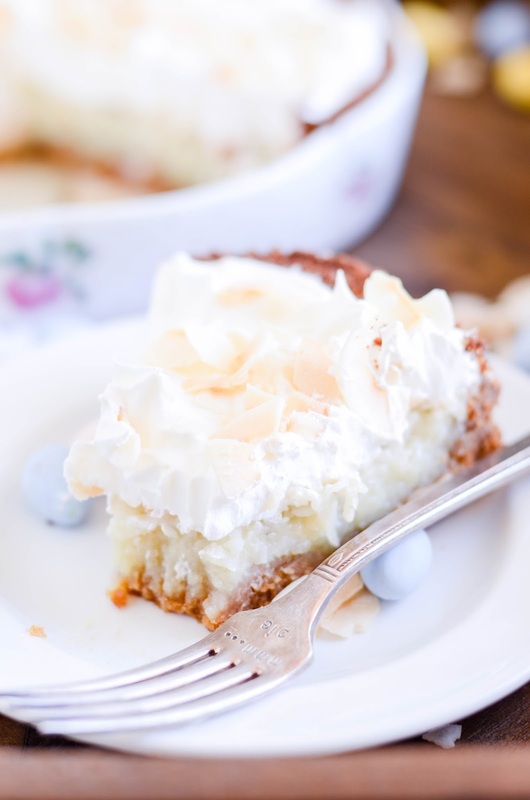 This beautiful and stunning coconut pie will impress everybody around the table at your Easter feast! I don't know about you, but I'm ready to eat pie. And even better: pie with coconut! Something about Easter just brings out the pie-lover in me. I think it's because I'm a big fan of the cool and creamy Spring-time variety of pies, rather than the baked fruit and nut pies we see more of around Thanksgiving. I pulled out the family recipe book for today's pie. I was flipping through my cookbook in search of a coconut cream pie recipe, but this French Coconut Pie recipe caught my eye instead. What's the difference between coconut cream and French coconut? I'm glad you asked. I wasn't sure about that myself, as a matter of fact. But after the pie had baked and cooled, the differences were pretty apparent. Instead of a custard or mousse-like cream filling, this French coconut pie has a texture more consistent with the inside of a Mounds bar. It's not quite as sweet or as dense, but that's the closest comparison I can make. I decided it needed a little creamy to balance out the sweet and sticky coconut filling, and the combination is right on the money. 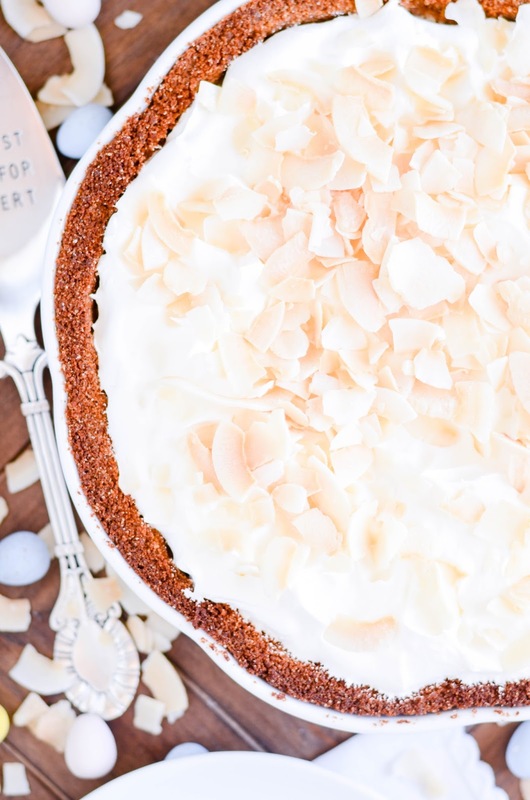 A buttery graham cracker crust, sweet coconut, and a dreamy whipped cream layer to top it all off. Add a little toasted coconut for the final touch, and voila! Whisk together the eggs, flour, and sugar. Add the melted butter, whisking while pouring it in. Mix in the milk and the coconut. Pour the filling into the pie crust. Bake for 40 minutes. Let cool completely before topping with whipped cream and coconut. Chill until ready to serve.